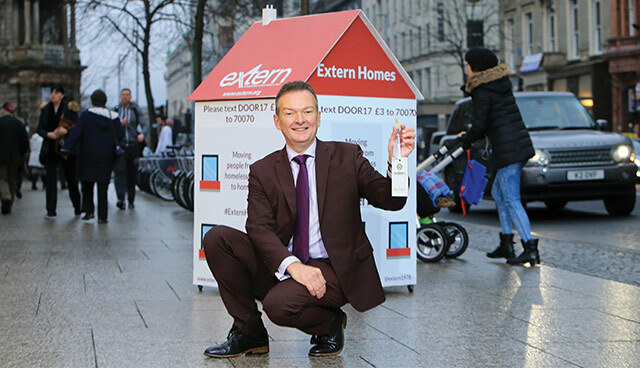 Extern CEO, Charlie Mack, pictured at the launch of Extern Homes. Since opening in 1978, Extern has become known as an innovator in homelessness service delivery. We find out more about the charity’s newest homelessness project, Extern Homes. The above quote comes from Gerard, the first tenant in a pilot scheme to tackle homelessness, which has been launched by leading social justice charity Extern. Known as Extern Homes, the charity is using funding from its own reserves, alongside borrowings from Charity Bank, to purchase 10 homes for people who are homeless, or at risk of homelessness. Housing benefit entitlement is paid to Extern as the landlord. Each Extern Home also comes with wraparound support services, including access to Extern’s own training and employment services, independent benefits advice, and the opportunity to take part in a savings scheme, giving tenants a chance to rebuild their lives. “Every day we were seeing people who were trapped in a cycle of homelessness, despite being ready to move on with their lives, and we were becoming incredibly frustrated within Extern at the lack of any appropriate housing solutions for those people,” explains Danny McQuillan, Extern’s Director of Services. “We went to London and Glasgow and brought back some of those innovative approaches, but tailored them to the problem here. And so, with the backing of our board, and the support of Charity Bank, Extern Homes was born. “One year on, and hearing Gerard and our other tenants tell us that life is getting back to normal for them, we are more convinced, and more determined than ever before, to bring this solution to as many people as possible who are homeless or facing homelessness across the island of Ireland. So, what’s next for Extern Homes? According to Danny McQuillan, anything is possible: “We’re incredibly excited about an upcoming partnership with RICS and LandAid, in which we are looking at a new sublet model to help a specific group of young people, aged under 25, who are facing homelessness. 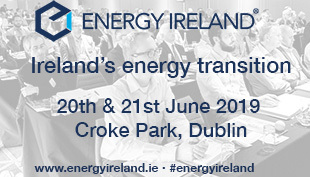 For more information on Extern Homes visit www.extern.org or contact Declan Morris on 074 8451 5345.